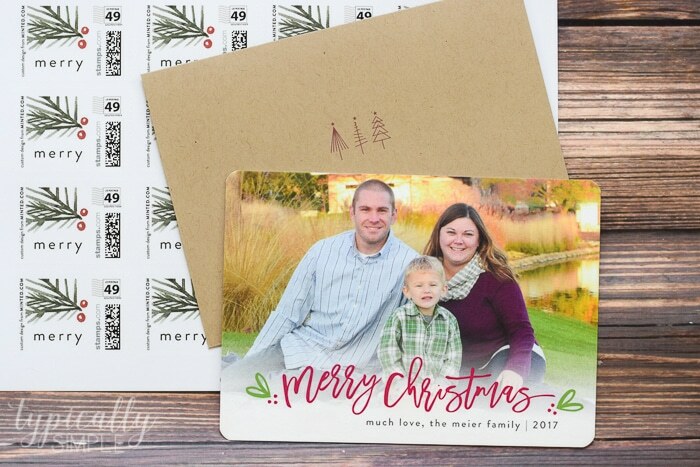 With all of the great features Minted has to offer, plus a few time-saving tips, holiday card making just got a little easier! Since Christmastime seems to sneak up faster more and more each and every year, I’ve learned that it’s important to have a game plan for getting my Christmas cards ready. We have family and friends all over the country, so I love sending a card that has a recent photo of our little guy. But I’ve learned the hard way not to wait until the last minute to try to get said photo because preschoolers don’t always want to cooperate! 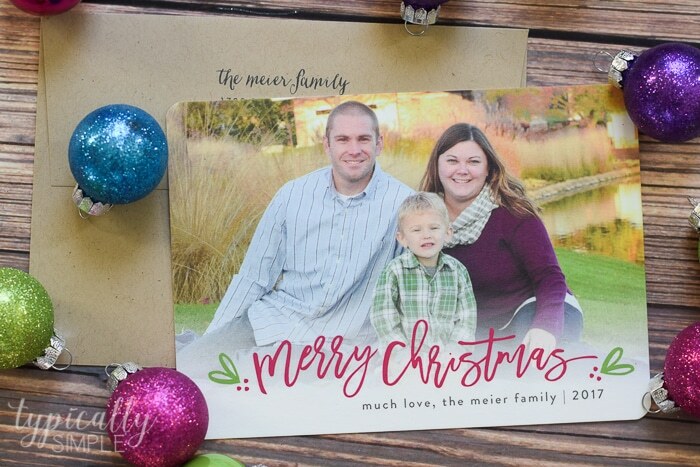 So here are a few of my tried and true tips to make holiday card making easier! Start early! You do not want to be crossing your fingers in hopes that your cards are delivered in time to address & stamp them all before it’s too late. Get those photos taken in late October or early November to give yourself enough time. Otherwise your Christmas cards might be a bit belated. Or if you are running short on time, you can go with a cute Happy New Year card! 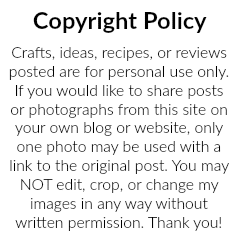 If you are using a professional photographer for family pics, this is especially important because you need to factor in the editing time after the photo shoot. A lot of times, you won’t get your photos for a few weeks or more, so plan accordingly. Or you could always grab a favorite photo from a family vacation to upload and use on your holiday card! I’ve always thought a collage of pictures from throughout the year would be fun to send to family and friends! Have lots of options for photos. It has happened to me more than once that I absolutely loved a card, but it was for a portrait photo and the photo I planned to use was landscape. So I always make sure to have multiple photos that are in the running for our Christmas card. 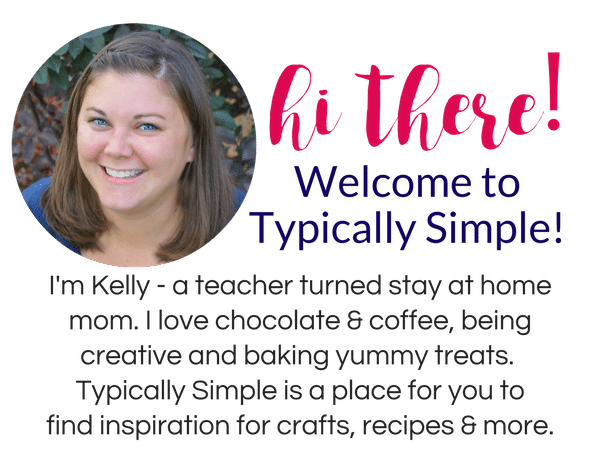 It’s also helpful that Minted provides some basic editing tools right on their site so you can crop, zoom in, or adjust your photo to fit the card. There is also a designer service that you can utilize to proof your cards! And one thing I really love about Minted is that you can pop your photo into all of the cards using the FIND IT FAST feature! It’s also a great way to see which text options, colors, and fonts work well with your photo. 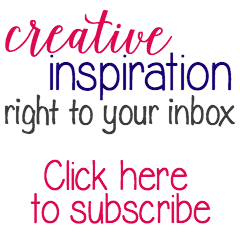 Save your favorites on Minted.com. With all of the beautiful card options available, it is really hard to pick just one to send out each year. From colors & shapes to the holiday greeting, each card has different customization options, . Whether it be bright & happy colors or a little more glam with the foil options, there is sure to be a card that will fit your family’s style! I could spend hours going through the different cards and options, changing the shapes, colors, greetings…I probably spend too much time to be honest. So I always, always use the favorite feature to save cards that I like, then go back and decide from there. Gather and update addresses. One of my least favorite things about sending cards is addressing all of those envelopes. 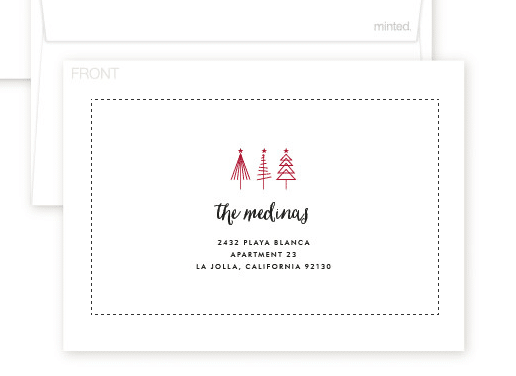 With Minted, you can upload all of your addresses and have them addressed for you! So all you have to do is stuff, seal, and stamp the envelopes! 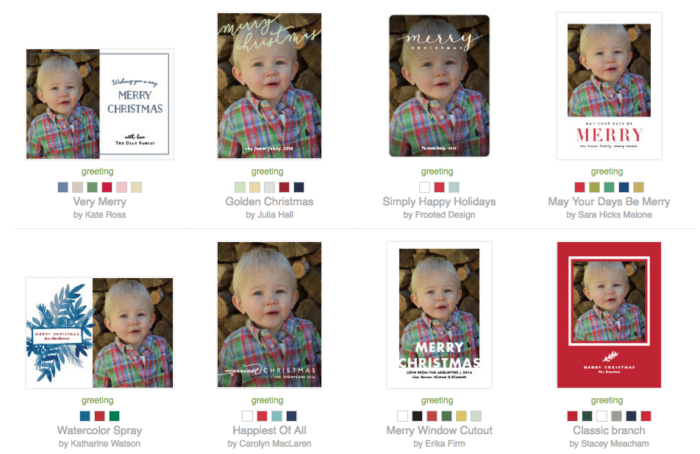 By far, one of my favorite features about ordering cards from Minted. 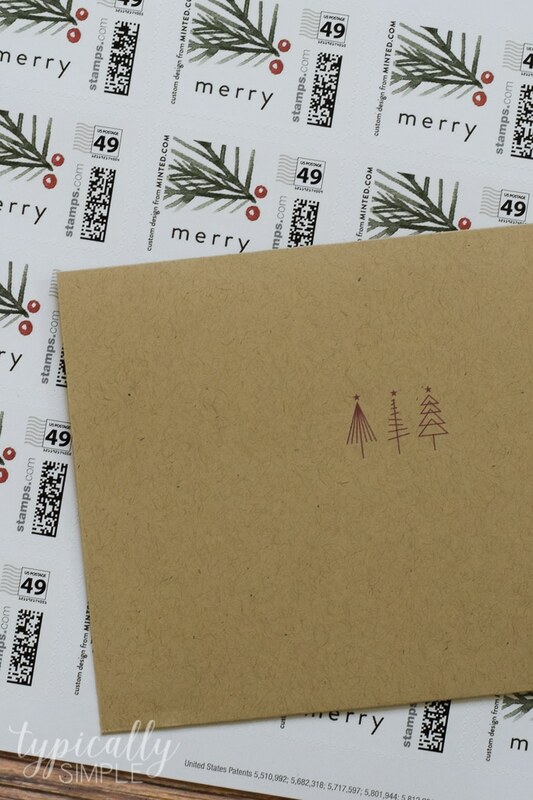 And speaking of stamps, you can order those from Minted along with your cards! There are so many choices, whether you personalize it with a photo or choose one that matches the theme of your card. The past few years, I have sent a Christmas card with just the little guy, but this year I decided to include a family photo. We are lucky enough to have some beautiful parks just near our home, so thanks to a tripod and remote clicker on my phone, we snapped a few family pics one afternoon! And with that here is this year’s Meier family Christmas card! While I usually go the photo card route, Minted also offers absolutely adorable Ornament Holiday Cards! Such a cute keepsake for family and friends! And if you are ready to order your own holiday cards, check out the promotion running through Friday 11/24 — get 20% off holiday cards using code BF2017.